Howdy, y'all! I am honestly incredibly stressed out on a day to day basis, and sometimes if I'm not feeling well I don't really put much effort into how I look. Which is ironic, because if you look good you feel better! However, I just finished summer classes and have a week before moving back down to A&M. I decided the other day that I was going to use some of my new found free time to relax and make myself feel a bit better! What is a better way to relax than a spa day? I thought I would share with y'all my essentials for a relaxing at home spa day. Hope you enjoy! 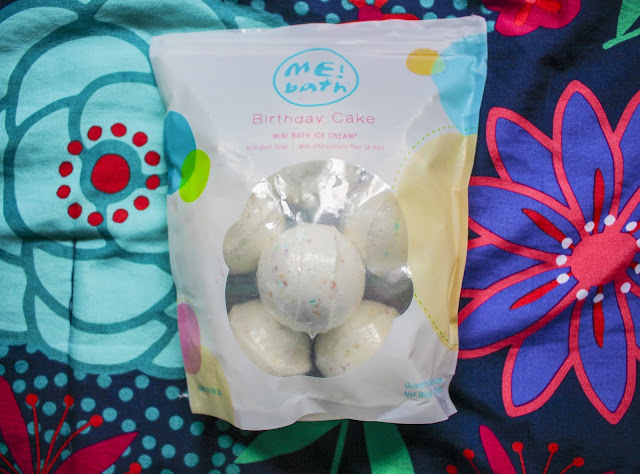 Bath Bombs: My go to thing for a spa day are bath bombs. I love filling up the tub with piping hot water and drop a nice bath bomb in. Lush has by far the best bath bombs as well as other bath supplies (like bubble bars!). Unfortunately for me (but probably fortunately for my bank account), the nearest Lush is 2.5 hours away. I did find these bath bombs at Target. They smell amazing! 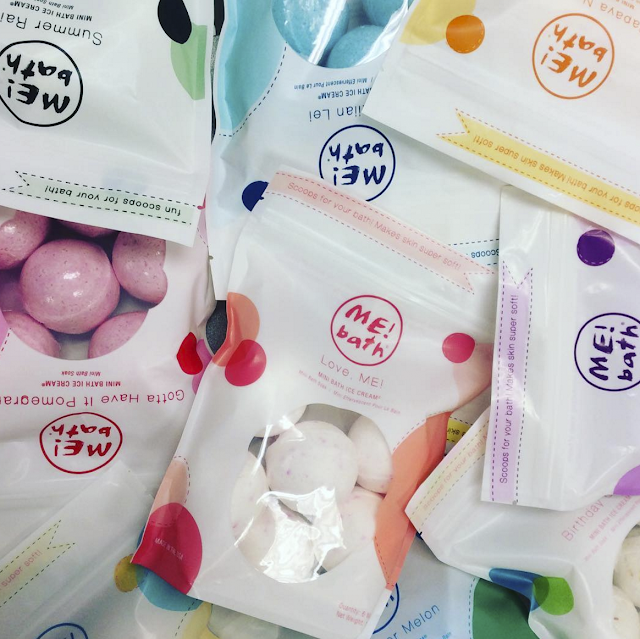 They smell like your walking into a bakery and an ice cream parlor! They don't do anything pretty to the water like a lot of other bath bombs do, but you leave smelling amazing, and your skin is so soft! 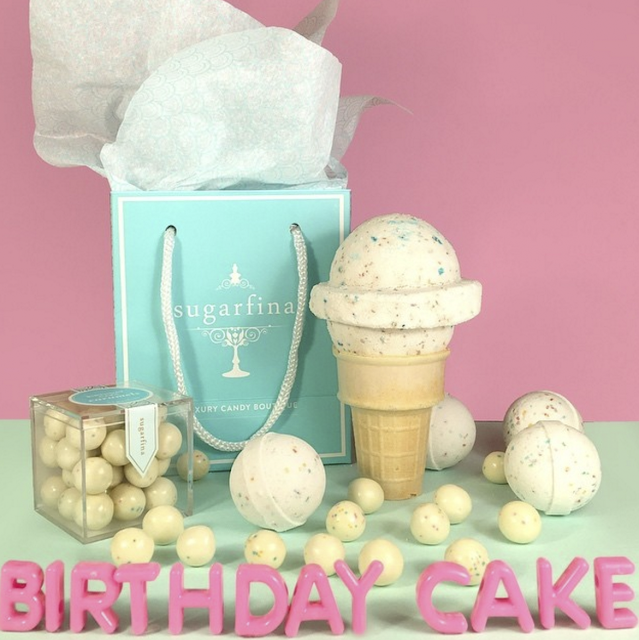 They also have several other scents at Target, but I choose the Birthday Cake flavour. Fun Soap: I personally always bathe after a bubble bath. The way I see it, if I'm already in the bath and wet I might as well clean myself up! I love using fun soap! It makes me feel special and like royalty to wash with something fancy. There is a store in Marshall, Texas that sells some nice artisan soap. 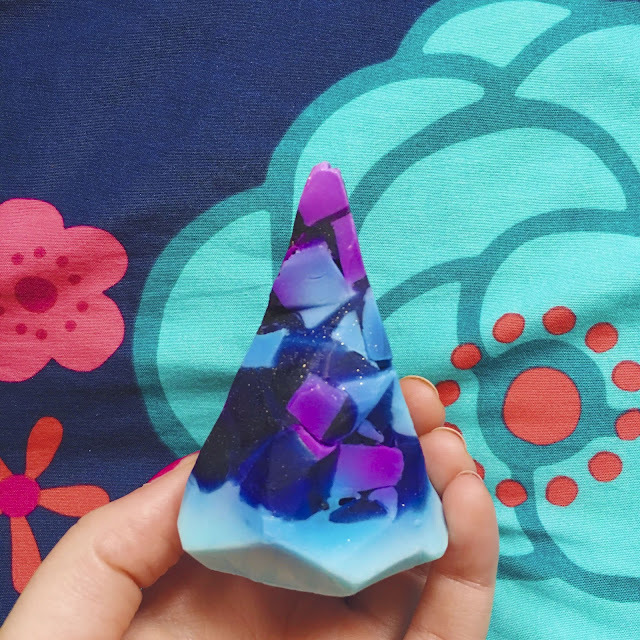 I, however, used my DIY Crystal Soap. It smells amazing and leaved me feeling nice and clean! Netflix: While I soak in my bath I like to prop my laptop up and watch some Netflix. I've recently gotten into Vampire Diaries (Can we talk about how cute the Salvatore brothers are?) . I stay so busy that I don't get much opportunity to watch Netflix, so getting to watch an episode was very fun and relaxing! 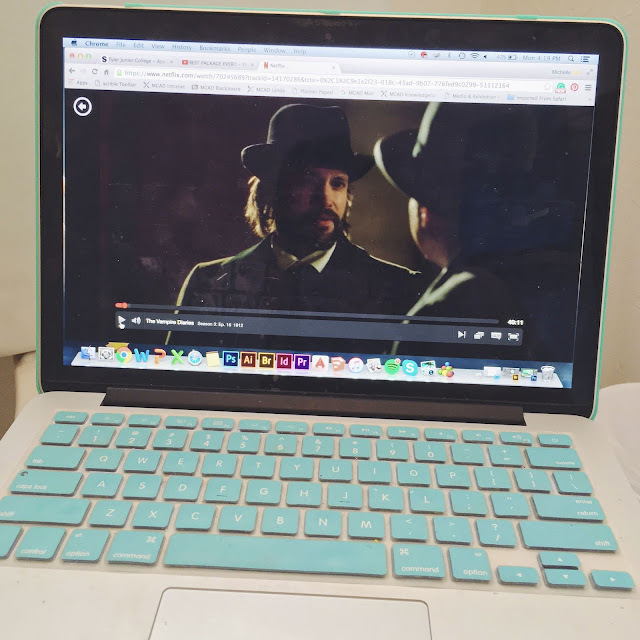 I feel like a lot of people don't get many opportunities to really watch their favorite shows throughout the week as they are caught up in work or school. That makes this a perfect addition to a spa day! Moisturizing: After a hot bath is the best time to moisturize your skin! I personally ALWAYS have dry skin, so moisturizing is a must for me! 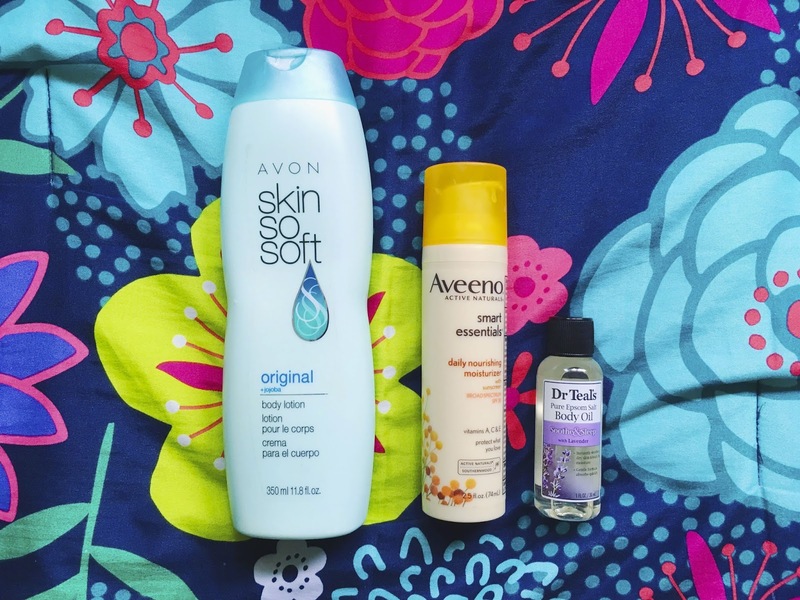 Avon's Skin So Soft is one of my all time favorite lotions. Aveeno's smart essential daily moisturizer is great for day time use because it has SPF in it. It also smells heavenly! I used to use it every day in Minnesota, so the fragrance always reminds me fall. Finally, after I use a lotion, I'll go back with body oil for parts of my body that tend to get extra dry otherwise. Dr. Teal's Body Oil in Lavender is so relaxing to smell! Skin Treatment: I hate to say it, but I've got some acne, especially when I am stressed. 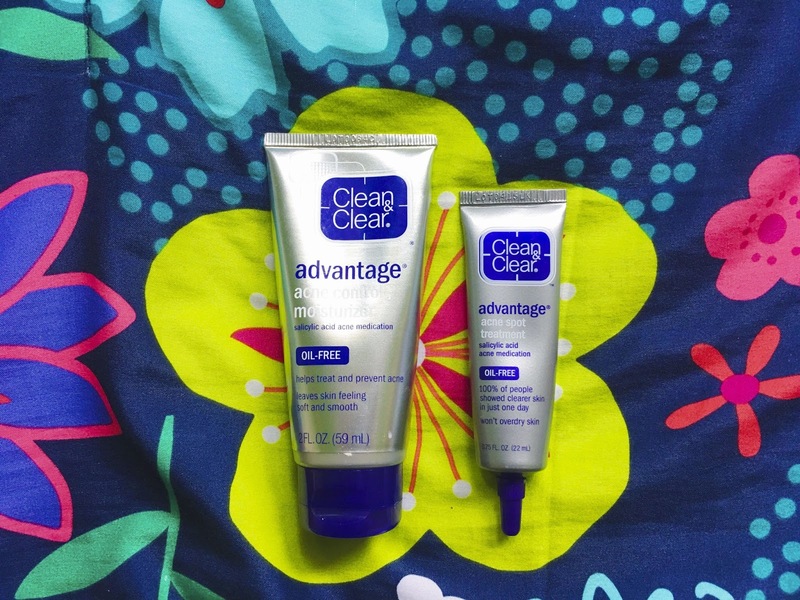 I like to use Clean and Clear's acne control moisturizer and acne spot treatment for my face. It honestly works pretty well! What a better way to beat stress induced acne than a spa day! Hair: Nothing makes me feel better than having my frizzy mane tamed! These are some of the products I like to use. 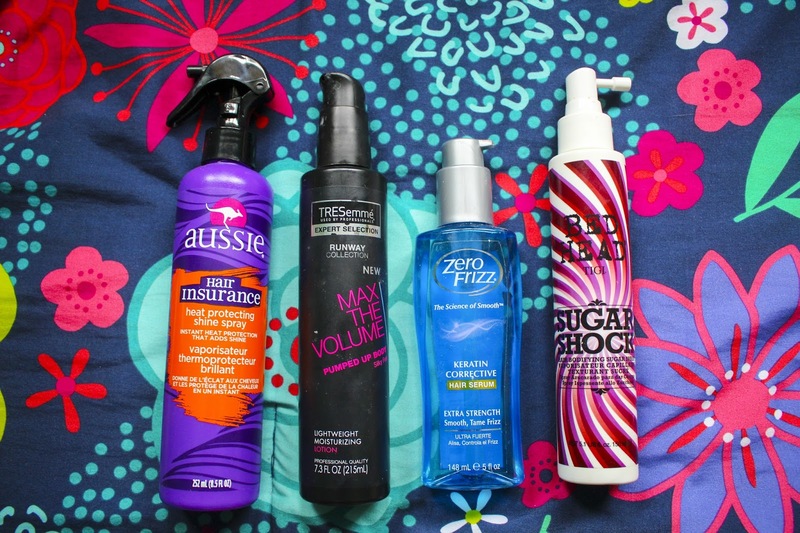 I tend to straighten my hair every day so heat protecting spray is a must! While my hair air dries I like to put some volumizing moisturizer in my hair which gives it some lift and makes it super soft! Also to help with the straightening process I'll put some anti-frizz serum in my wet hair so that it dries straighter, and then I don't have to put as much heat on my hair. If it humid outside instead of throwing hair spray in my hair I'll put some Bed Head Sugar Shock spray in which helps keep it styled and makes it smell great! 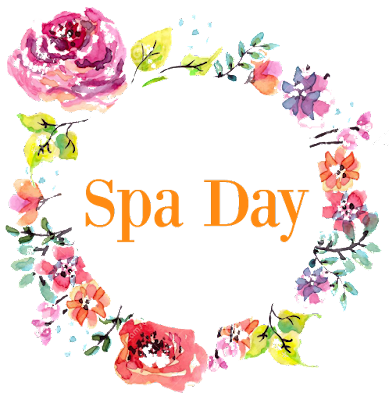 Manicure & Pedicure: What is a spa day without having your nails done? 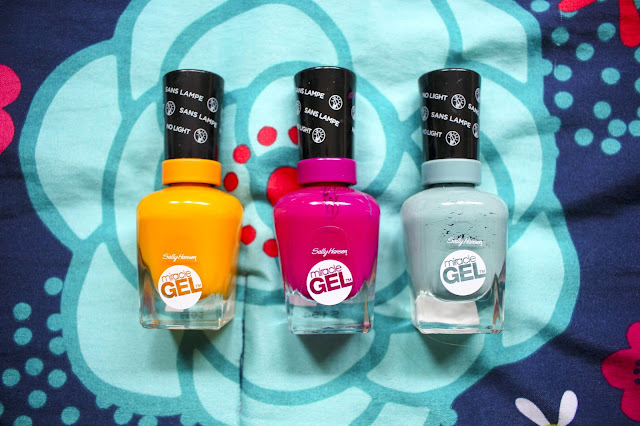 I am currently obsessed with Sally Hensen's Miracle Gel polish! It is long lasting and the colors are so bright and vibrant! Although, I have to be careful when I wear my orange polish or I might seem like a traitor to the Aggies!! Refreshments: Finally, nothing finishes off a day of relaxation like a cup of coffee or tea! I made myself a cup of chai tea! And is that not the cutest mug you have ever seen?! 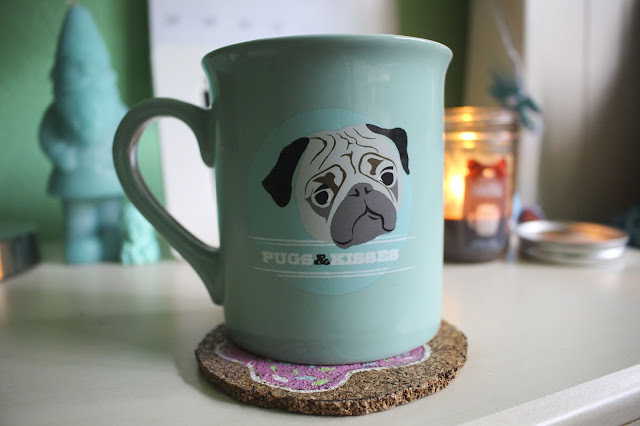 Of course, if you know me then you know I am obsessed with pugs. One day I shall own a pug! If you're drinking a hot drink and placing it on a wooden surface, be sure to use a coaster or you may have some nasty rings on your furniture! You can learn how to make a donut coaster here!